We don’t know about you, but we could sit and listen to Steve Jobs talking about anything, and we mean, anything at all. The enthusiasm alone is enough to keep anyone spellbound, but when he’s talking about something as important as legacy, then things really get interesting. 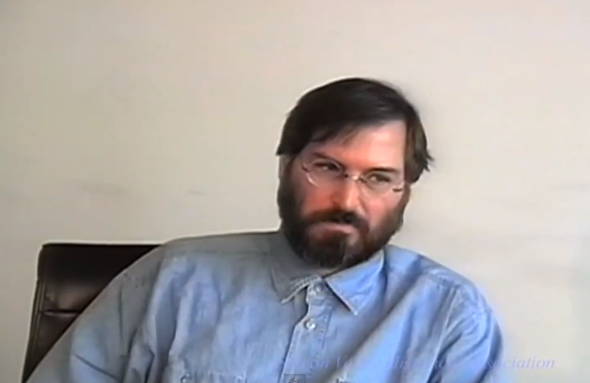 Newly released footage, courtesy of The Silicon Valley Historical Association, shows then NeXT CEO Steve Jobs speaking about his legacy, and how he would be remembered for his work in the years to come. Obviously this was recorded almost twenty years ago (that’s two whole decades before from now), before Jobs returned to Apple and long before the newfound success that the redesigned Macs have afforded the company alongside the newly released iOS platform. Years before Jobs’ big iPhone moment on-stage in 2007, the man himself speaks about what he will be remembered for. We’d argue that the iPhone announcement is top of the list for us, Steve! The clip has been released to promote The Silicon Valley Historical Association’s hour-long documentary on the subject, available via its website. A downloadable, video version costs US $14.99, while the DVD costs $24.99 and an audio-only, MP3 version is available for just $4.99. If you’ve ever been a fan of Steve Jobs, or perhaps just the story of how NeXT and Apple affected the growing computer industry in the early nineties, then this could be an hour well spent. 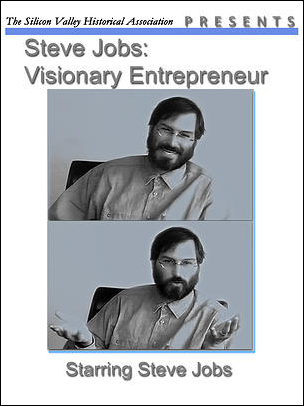 Steve Jobs was arguably one of the world’s greatest ever CEOs, even with his many flaws taken into account. It’s debatable as to whether anyone else could have masterminded Apple’s return to form from 1997 onwards, and the company is certainly one of the success stories of the last ten years. Whilst it is true that Apple was far from a one man show, few would argue against Jobs receiving the lion’s share of the credit for its successes. Steve Jobs’ recent death has left Tim Cook in charge of the company Jobs co-founded with his friend Steve Wozniak. The company may not have the flare it once did, but if the recently announced Mac Pro is anything to go by, the products certainly do.